There's no longer a need to troll exhaustively for freshwater fishing information in Texas. FishExplorer.com, a complete Internet source for local freshwater conditions, species information, expert advice, maps, travel insights and connections with other sportsmen, will launch for Texas anglers beginning March 1. With FishExplorer.com, Texas sportsmen can follow blogs and articles provided by local Field Editors throughout the state, read the latest insights from professional guides, follow trends in the sport, and post their own experiences and observations about fishing. Cody Ryan Greaney, an Austin-based tournament angler, fishing guide and outdoors writer, will lead FishExplorer.com as its State Editor. Greaney, who says that "he was raised from a very early age on the front of a 16-foot fiberglass bass boat," is a rising star on the Texas fishing scene. He competes on the FLW Everstart and Bass Champs trails, and currently chairs the Interactive Media Committee of the Texas Outdoor Writers Association. "It didn't take long for me to be interested in such a valuable resource in the angling world as what I saw in Fish Explorer," Greaney said. "I am excited to be a part!" When he's not searching for prize fish, Greaney is guiding clients on local lakes or at a desk writing columns about his latest adventures. His resume includes radio and outdoor television programming on the Clear Channel Network, CBS network and cable TV, and he is an accomplished and well published outdoor writer. His columns and articles have appeared in publications such as Texas Bass Magazine, Lone Star Outdoor News, Country Line Magazine and various outdoor websites. He currently chairs the Interactive Media Committee of the Texas Outdoor Writers Association. Greaney will be joined at FishExplorer.com by seasoned Texas anglers who will serve as Field Editors and share their respective insights on local lakes, techniques, and developments in the Texas fishing community. The Field Editor staff includes: Banning Collins, Austin; Collins Illich, Dallas; Dave Mauldin, Austin; Dave Burlington, San Antonio; JC Gwynne, Del Rio; Darryl Roach, Glen Rose; Rob Woodruff, Quitman; and Chad Ferguson, Saginaw. With Greaney at the helm, FishExplorer.com will provide a platform for posting and tracking up-to-date reports on conditions for the state's favorite freshwater lakes, and even some of its more obscure fishing spots. 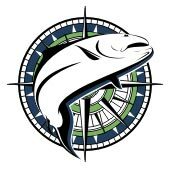 Fish Explorer is actively recruiting local volunteers to monitor the waters on a daily basis, to make it possible for avid anglers to pick the right fishing spot before hooking up the boat. FishExplorer.com was created by avid angler Matt Snider as a solution for his own questions about the best places to launch his boat and where to find the fish he was looking for. Since starting in April 2006, FishExplorer.com has become the most visited Colorado-based fishing website and resource that is changing the way anglers find and share information about their passion for fishing. This one-of-a-kind online community has already registered over 20,000 members and attracted 390,000 unique visitors in the last 12 months. Its popularity has stirred interest among Texas fishermen, who have become followers of the site. That fact has influenced FishExplorer.com's expansion into the state. "Fish Explorer is a resource that can be used for any skill level, from the weekend angler to the pros," Greaney said. Field Editors: Banning Collins, Austin; Collins Illich, Dallas; Dave Mauldin, Austin; Dave Burlington, San Antonio; JC Gwynne, Del Rio; Darryl Roach, Glen Rose; Rob Woodruff, Quitman; and Chad Ferguson, Saginaw. Key services: Up-to-date reports on water conditions on lakes across the state, interactive maps, species reports, campground info, boat ramp information, historical data and event calendars. Additional features: Columns, articles, blogs and tips provided by staff editors and site users. Founder: Matt Snider; Fort Collins, Colo.